The Quispe family from La Florida, Peru, never knew Fred and Kathryn Abel, but they will never forget them. 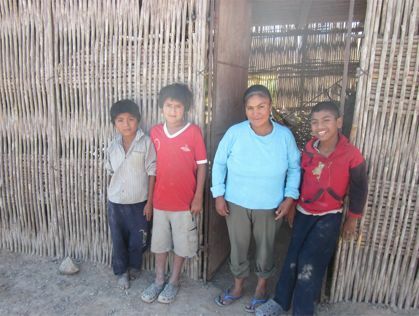 Though the couple passed away 68 days apart last year, their legacy of serving others is the reason Domitilda Quispe and her three children soon will be able to escape their unsafe, one-room shack made of sticks, reed and scraps of plastic. They will move into one of 10 new Fuller Center for Housing homes being built in the community during the Millard Fuller Legacy Build Sept. 1-8. While the entire Legacy Build project is the result of the volunteerism and donations of many different people, the Quispe home is being sponsored by Linthicum Heights, Md., resident Robert Abel in memory of his parents — Kathryn, who died at age 90, and Fred, who was 93. Robert, who will help the Quispes build their simple but decent and safe home during the Legacy Build, said that it’s the perfect way to honor two people for whom building was a way of life. He said it’s especially fitting that they can be honored during an event that honors another of his biggest influences, Millard Fuller, who died in 2009 after decades of helping hundreds of thousands of families leave unacceptable housing conditions and be empowered through home ownership. “Because these three people were such amazing influences in my life, I discovered a perfect remembrance opportunity linking all three by sponsoring a home in their memory during the 2012 Millard Fuller Legacy Build,” said Abel, a member of the Fuller Center’s Board of Directors who will be joined by fellow Marylanders John Canterna of Linthicum Heights and Jon Bradley of Woodstock on the trip to Peru. Building truly has been a way of life for the Abels. Fred and Kathryn built their own home in Wilson, Ohio, near Beallsville, in 1957 and helped build their community through a lifelong dedication to volunteer service. 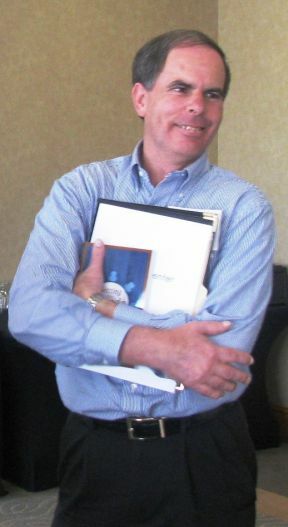 They were always building relationships and worked toward promising futures for many in the Beallsville area — Fred as a dedicated educator and administrator for 40 years in the Beallsville schools, while Kathryn committed 35 years as a Sunday School teacher at Beallsville United Methodist Church. Abel said he only wished his parents could have met Domitilda Quispe and sons Juan, 14; Luis, 11; and Hector, 8. The family sleeps on a small floor mat, huddling together to fight the cold mountain air that breezes through the walls of sticks. The shack they call home has no running water, electricity or sewer capabilities. Still, Domitilda works on a nearby farm and is saving money for her children to attend college. Juan also labors in the fields when he is not in school. “I know they would have fallen in love with Domitilda and her children and both would have jumped in to help build,” Abel said of his parents. The Millard Fuller Legacy Build in La Florida, Peru, will construct the 10 new homes all in the same neighborhood overlooking the town that is filled with many shacks similar to the one in which the Quispes currently live. The new homes are made of bricks and are often painted in bright colors to bring hope not just to the homeowners but also to the neighbors who long for simple, decent, affordable housing. homes to decent condition and to build new simple, decent homes with no-interest mortgages on terms homeowners can afford. If you would like to follow Robert Abel’s lead and sponsor a home in someone’s memory, or if you would like to contribute or volunteer in other ways, please visit FullerCenter.org/join-movement.